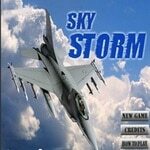 Fly your aircraft and try to destroy all enemies along the way. Take part in air fighting and complete missions. Have fun shooting other airplanes.